We love Star Wars and it is good for motivating a lot of learning around here. 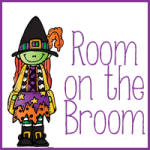 And since they are very active, activities that involve moving around are typically best. 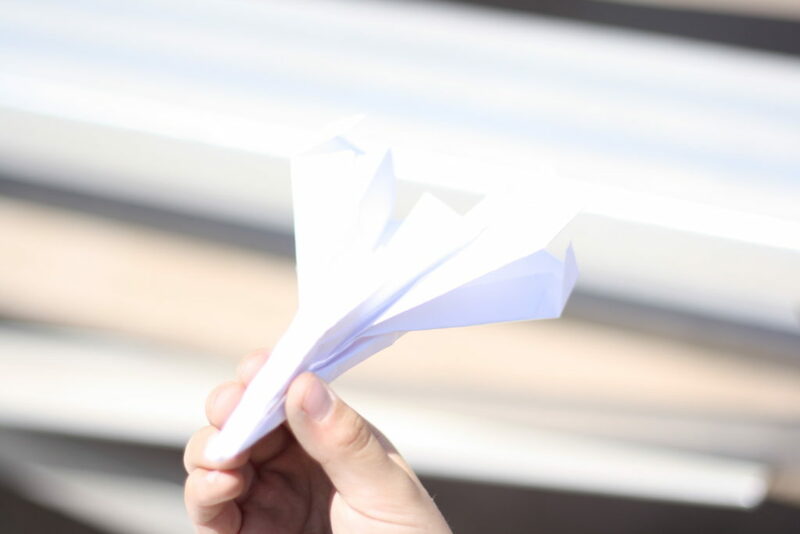 A few weeks ago we participated in a paper airplane fly-off that was just tons of fun. 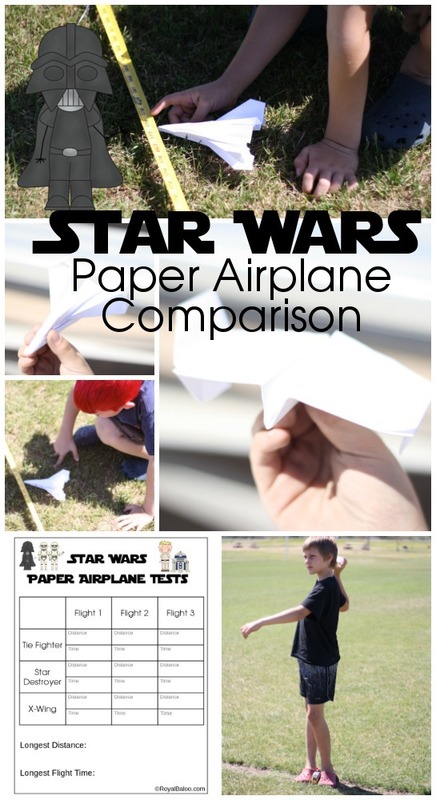 So with the topic of paper airplanes on the mind, we decided to test a few Star Wars themed paper airplanes! Baloo and I constructed the airplanes using YouTube tutorials. 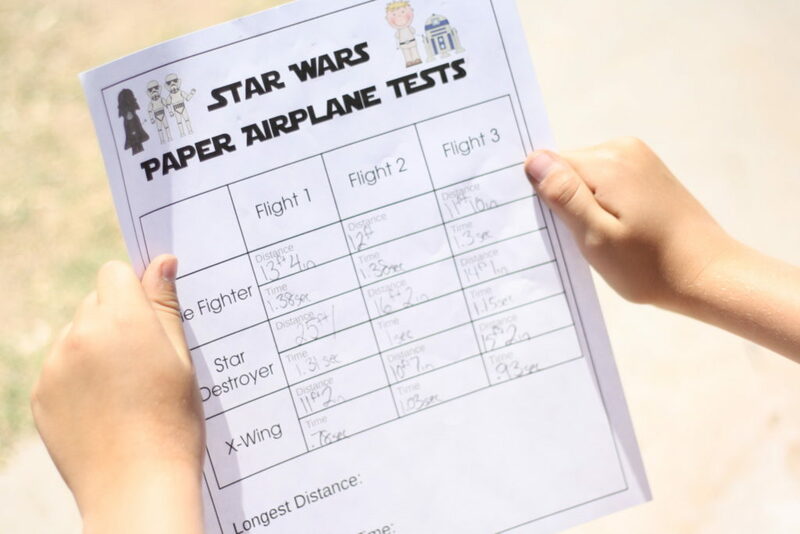 I did try to design my own but it turns out that I don’t really know much about paper airplane construction…or Star Wars vehicles! This was actually a fairly easy build and flew pretty well. We were dealing with some wind issues or I think this would have out performed the others easily. The X-WingThis was not as easy a build but it did fly pretty well, considering. And it looks pretty cool! 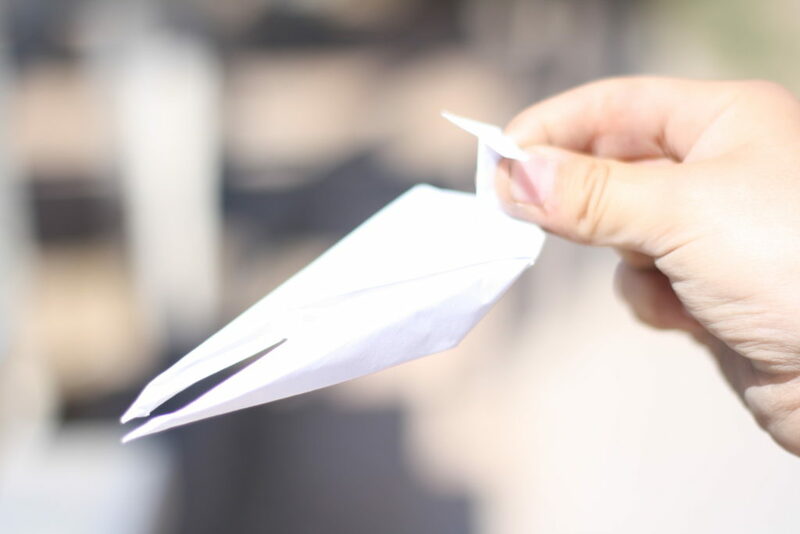 So this isn’t really a paper airplane that is meant to fly. It is more origami and for display or fun. But they wanted it, so we built it. It didn’t really fly so much as it fell through the air. It got some distance but only because they chucked it. The trials. 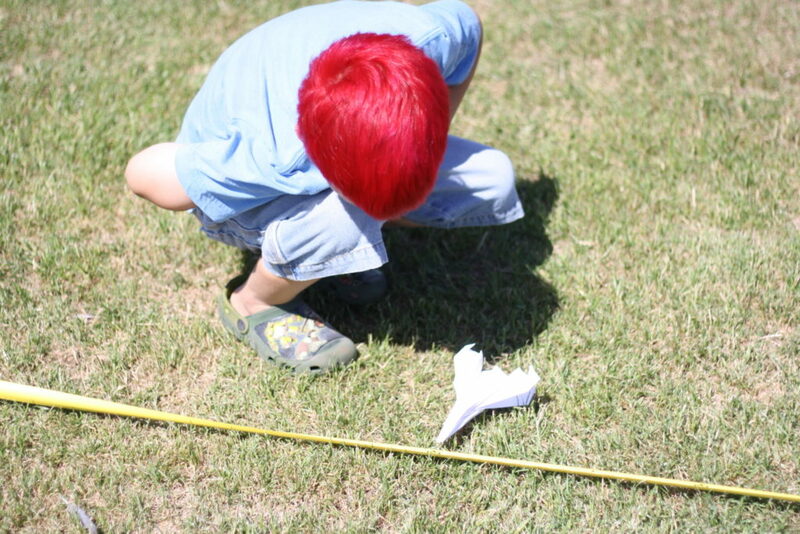 I printed out a recording sheet for each child and had them throw 3 times for each plane. Due to the wind, we had some good throws and some bad ones. I so wish we could have done this indoors. 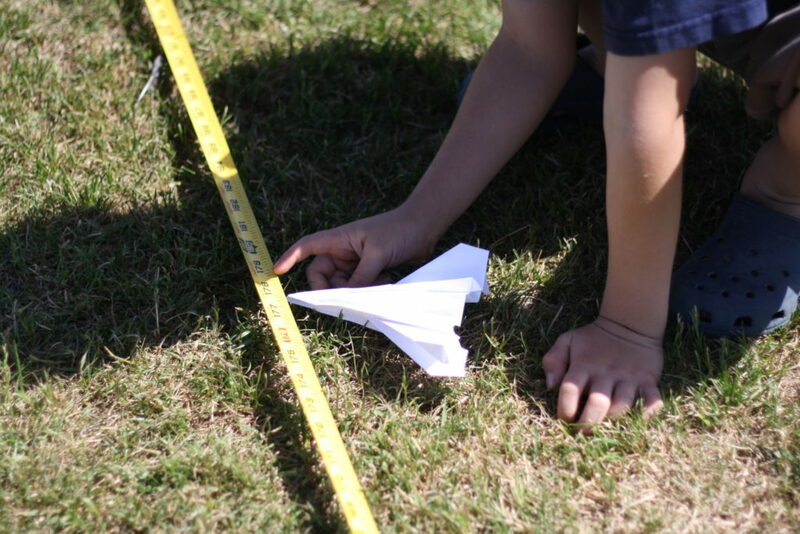 Throw the plane, measure the distance. 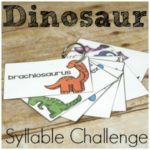 All 3 boys had measuring practice today! We measured in inches and compared to centimeters. 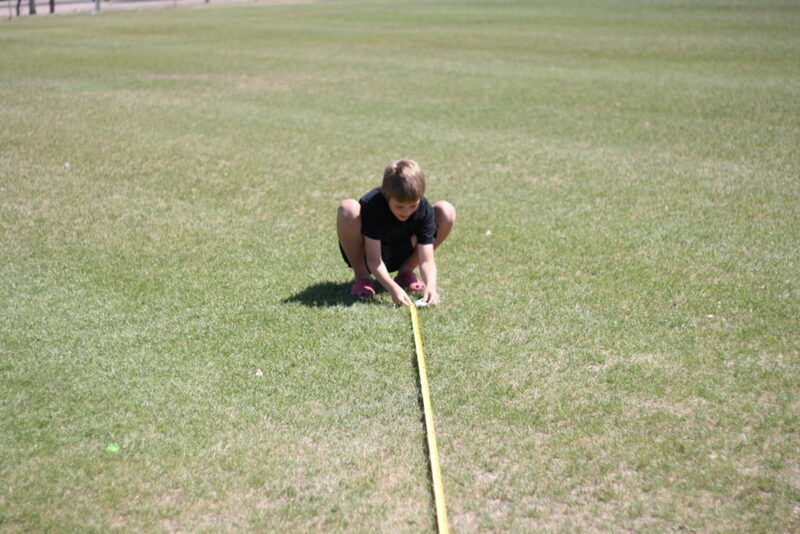 Even Logi-Bear got in on the measuring action! We wrote down the distance and time for each plane and then compared what we saw. Which flew furthest? Which flew longest? It actually wasn’t the same! The TIE Fighter generally had longer flights. Interestingly, they each got different results. When we were finished we incorporated some math review. How much further did the longest or than the shortest? How much longer did the longest fly than the shortest? What is the average of all the flights? If the TIE Fighterflew 13 feet 5 times in a row, how far would it have gone? For Logi-Bear, just the comparison in length was great practice for greater than/less than.